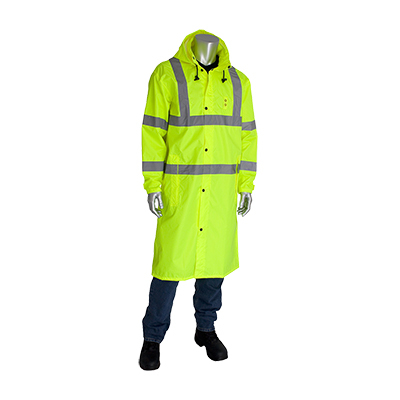 Lightweight polyester with waterproof PU coating and taped seams. Zipper closure with storm flap with snaps, side access pockets, concealable hood for extra protection, badge/ID holder. 20/case.